In 1900, a century of family funeral service began when Mr. Herbert L. Warner combined his livery business with his newly opened funeral establishment at Sixth Avenue and Corbet Street, Tarentum (where the National City Bank of Tarentum now stands). In 1903, the building now occupied by the Valley News Dispatch was constructed by Mr. Warner and later sold to the news. There he housed a Furniture Store and Funeral Home. In 1915, he built the Warner Furniture Store, which is the present building of the Veterans of Foreign Wars Post #5758. His name is still etched in stone on the building front. On July 25, 1925, Mr. Albert W. Ferver joined the firm with his father-in law, Mr. Warner, taking an active role in all functions. In 1930, they purchased and renovated the West Penn Hotel at Fourth Avenue at Wood Street, Tarentum and there operated the Warner Funeral home. After the death of Mr. Warner in August of 1946 Mr. Ferver purchased the Funeral Home from his mother-in-law, Mrs. Wilma Warner, on Sept. 1, 1946. The new Ferver Funeral Home was operated at the same location. In 1950, Mr. Eugene L. Krynicki, the husband of Jeanne Ferver, was asked by Mr. Ferver to join the family business. After graduating from Pittsburgh Institute of Mortuary Science in 1951, Mr. Krynicki assisted in all aspects of funeral service. 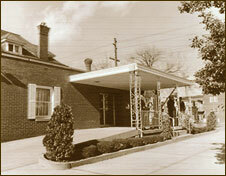 A Partnership was formed in 1960 and the name changed to Ferver - Krynicki Funeral Home. This Partnership purchased the property at Second Avenue at Corbet Street, Tarentum, which had been owned by the Pittsburgh Diocese of the Roman Catholic Church. After much renovation the Ferver - Krynicki Funeral Home moved in in 1964. In 1972, after the death of his wife, Gladys Warner Ferver, Mr. Ferver suffered some health problems and Mr. Krynicki managed the Funeral Home. Mr. Ferver sold his remaining shares of the business in 1975 to his son-in-law and the name changed to the Eugene L. Krynicki Funeral Home. Eugene’s son, Timothy W. Krynicki, joined the firm in 1973 after being honorably discharged from the U.S. Navy. Tim continued his education at Penn State University and Pittsburgh Institute of Mortuary Science where he graduated with honors in 1976. Eugene Krynicki suffered a disabling stroke in 1976, and with the assistance of Mr. Ferver, Tim continued his apprenticeship and was state certified in 1977. 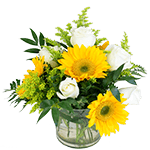 Tim purchased the business from his father in 1978 and he established the Krynicki Funeral Home, Inc. In 1985, Tim added to the “A Family Tradition in Caring since 1900”, the Krynicki family made a commitment to build a new funeral home and add important considerations for people of advancing age. The result of his examinations and evaluations is the new facilities at 1007 Freeport Road in Natrona Heights. The new facilities built in 1987 only added to the professional services of the operation that serves families with very personal services. With the many specialized features, the funeral home building was designed, built and furnished to provide comfortable facilities and conveniences which better serve the needs of families and friends who have experienced the loss of a loved one. 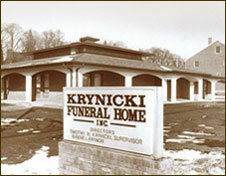 With the Krynicki Funeral Home, the facilities were designed specifically for the use of families. Unlike many funeral homes, the facilities were designed from the ground up to meet the needs of families of all sizes. The spacious facilities include a chapel where services may be held. The overall decor and furnishings are always appropriate, creating an atmosphere of comfort, beauty and reverence in keeping with the occasion while easing the sense of loss. The building itself was designed for comfort, being handicap accessible, large enough for family and friends and yet small enough to provide intimacy. The creation of an appropriate decor is completed with tasteful furniture, draperies and carpeting. The Krynicki Funeral Home adds a Funeral Chapel, a large display area for funeral merchandise and caskets, handicapped rest rooms, family conference room, family visitation areas. These words are still true today after four generations of our family serving your family, “A Family Tradition in Caring since 1900." We thank you for your confidence in us and are here to serve your needs.